Ok.. before the next week starts, ni entry bagi leleh air liur. 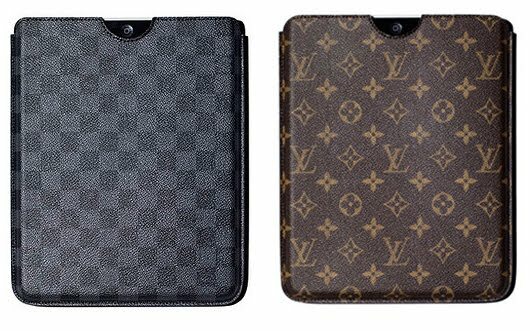 For those yang either ada iPad, atau memang fashionista je la... sebab pas iPad ni kuar je, almost all the major designers have come out with iPad covers. Prices in US dollars. Since conversion is about three times korang pepandai la kira berapa harga ek. 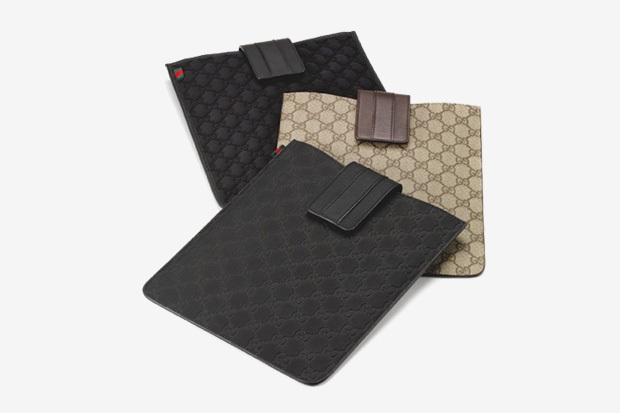 Paling aku berkenan, is of course my fave label, Gucci! Between USD$230 to USD$290. I like! Mintak-mintak ada yang akan dapatkan tuk aku. Da kirim pon. Next up are the Oscar de la Renta ones, which retail I think for about USD$290. Simple and nice but so not my thing. 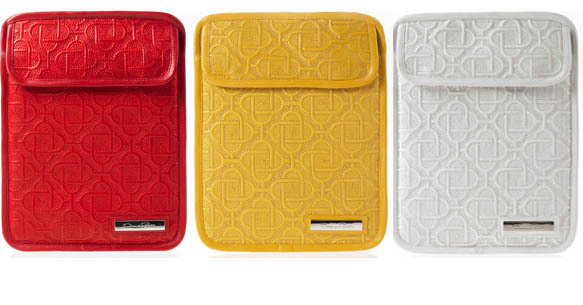 And the Oscar de la Renta python selections. Nice!!! 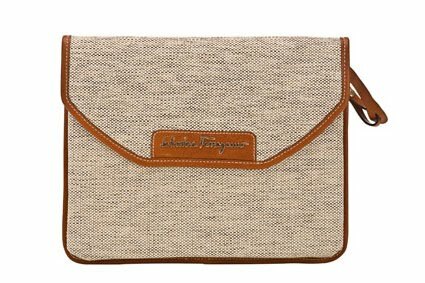 For USD$395, you can get a Salvotore Ferragamo in canvas. 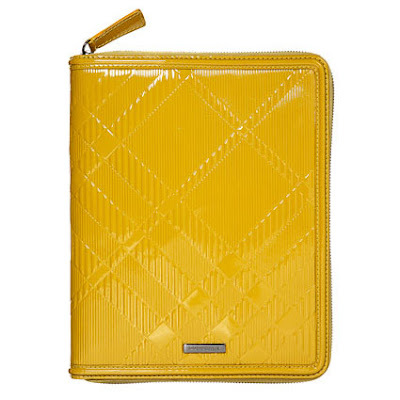 For USD$475 (about the same price as an iPad itself) is the Burberry in striking yellow! 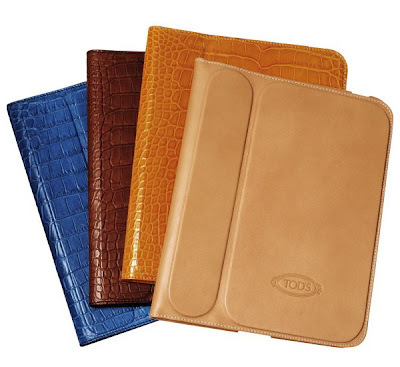 At USD$490 are the selections from Tods. Too old for me and somehow, just doesn't ring my bell. 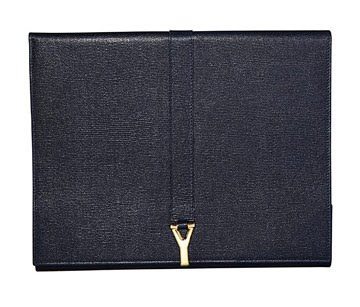 The Dior Homme iPad case comes in black, and silver - for USD$700. Ouch. But I like the design. Go online and look for more pics. Nice on the inside too. 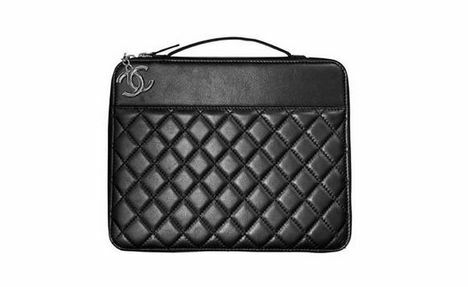 The YSL at USD$795 is nice too. Classic! But the most expensive iPad case? At a whopping USD$1555, costing three times an iPad itself, it the quilted Chanel case. Gorgeous! But definitely only for fashionistas with money to burn. 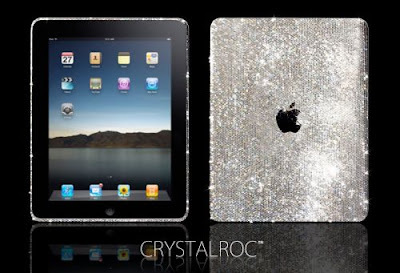 So far if you think all of these are ridiculous - away from iPad cases itself, how about a Swarovski encrusted iPad for USD$2250 for about 6000 Swarovski crystals adorning your iPad. Nice - but ouch! A little too bling, so flashy and over the top. The price apparently is for a 32gb model. Ok... time to sleep. Lots of work tomorrow.